This year, for the first time, we're bringing the concept of Hire Space offline at EventLAB. When most people are stuck behind computers screens all day, getting out of the office and meeting face-to-face is increasingly important. We're bringing together a diverse range of venues and suppliers across the two days who'll inspire and entertain. Alongside a programme of CPD masterclasses and workshops, the event will take event professionals through every step of the event planning process and build some skills along the way. Whatever the aim of your event, many of the event planners we speak to say the same thing, they want it to be memorable (for the right reasons, of course). So, meet the stellar line-up of venues and suppliers, who'll be exhibiting at EventLAB. There are literally thousands of venues out there which can make finding 'the one' a bit of a challenge. The venue is the first thing your guests will see, and first impressions count. Camm & Hooper are known for revolutionising iconic London buildings to create memorable and truly stunning event spaces. Most recently the group launched Six Storeys on Soho, an opulent yet bohemian townhouse on Soho Square. Perfect for product launches, pop-ups and private dining, you'll want to move in after an event here. Elsewhere in London, Camm and Hooper's venues include Victorian Bath House, Banking Hall and Tanner & Co. - a former tannery. If you're a bit of a foodie, you'll probably be familiar with one of London Union's street extravaganzas. From Street Feast in Shoreditch and Canada Water favourite, Hawker House to new kid on the block Giant Robot, the venues are instantly recognisable for their make-shift spaces, delicious food and feel-good vibes - they're always busy. But did you know, the venues are also available for private hire; choose a specific space for smaller parties or hold a brilliant product launch for around 500 in one of the venues exclusively. I think the main thing that makes an event memorable is what we call ‘vibes’ and by this I mean the general feel that guests experience as soon as they step in the venue/event to when they leave. This is everything from the look and feel of the venue, the music/sound, the lighting, the staff, the food & drink quality. I also think making an event personalised to the audience and something they can relate to is key. Obviously anything that is a brand new concept is also exciting and will remain in people’s minds. Landing Forty Two is the highest event space in London; you'll find it on the 42nd floor of the Leadenhall Building - affectionately known as the 'Cheesegrater'. The venue's floor-to-ceiling glass windows offer panoramic views across the Thames and beyond. Ideal for product launches, conferences, gala dinners and award ceremonies, any event here is sure to be remembered. We like it so much we're holding the Hire Space Awards there in October (on day two of EventLAB). IET Savoy Place recently underwent a 2-year, £30 million refurbishment and the results are pretty spectacular. Home of the Institute of Engineering and Technology, the venue boasts cutting-edge technology throughout and brilliant event spaces. The jewel in the crown, however, is the roof terrace with its view across the Thames - it's pretty breathtaking. We love discovering fantastic food, and the events industry is absolutely brimming with brilliant caterers. 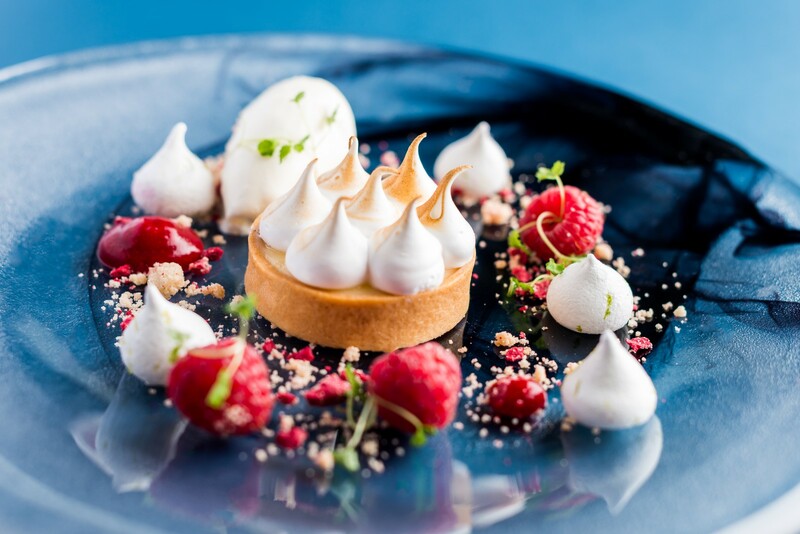 Moving Venue by Smart is an accredited caterer at over 40 venues and pride themselves on being the original caterer to service London's historic, heritage and iconic spaces. Or you could keep it casual with street food vendors from Street Feast. Tacos, burgers, crab, steaks - there's a perfectly-formed, portable variety of food for any occasion. So, you've found the venue, you've decided on the catering, now you need some entertainment. Meet Sternberg Clarke is one of London's leading suppliers of entertainment. From circus, magic and musicians to comedy, the supplier is committed to perfectly matching your entertainment to your event. Sternberg Clarke will also create bespoke acts for larger events if you can't find what you're looking for in their extensive roster. See the full list of venues and suppliers exhibiting at EventLAB and register for the event here.